Discussion in 'Articles' started by Sykikal, Jun 13, 2015. 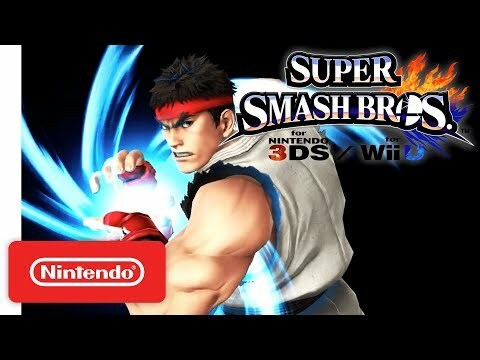 Videos have been released that indicate Ryu from Street Fighter and Roy from Fire Emblem, who was previously a playable character in Super Smash Bros. Melee will be included as a downloadable character in Super Smash Bros. for Wii U and 3DS. The videos appear to be the classic mode victory videos, and the people who uploaded them claim they ripped them from the Japanese version of the game after an update. Some sound files for Ryu and Roy were previously discovered in the game after an update, although there was nothing as definitive as these videos until now. This leak was discovered shortly before Nintendo's pre-E3 Nintendo Direct based on Super Smash Bros, and their E3 conference, where some people speculate that Ryu and Roy would be announced. Were these officially announced or are these still rumors? If they haven't been officially released the title should be something like "Alleged Ryu and Roy leake as playable bla bla ....."
They haven't been officially announced. I felt I worded the article as as a rumor "Videos have been released that indicate " " "Hackers also posted what they claim". Although I'd say it's all but confirmed at this point. There are even videos of people using the character. I think the videos prove that Ryu/Roy are programmed in the game. If Nintendo didn't release it, that would mean they programmed Ryu in then changed their mind or something. It's not like the Rayman leaks where it was just a selection screen with no audio. I don't really pay attention to where the articles are located. I just click the new posts option and see if anything interests me. Nintendo direct officially confirmed Ryu and Roy as playable characters. They're out now. They also confirmed new stages from the N64 like Dreamland, and that every playable character, including the DLC characters and the Mii fighters, would receive an amiibo. I always thought it was pathetic how everything Nintendo does is always leaked before they intend it to and they act like they don't know and that their announcements are news to anybody. Yeah, I know what you mean. They should know by now that if they put it somewhere in the game data, hackers are going to find it somehow. They should have just waited a day to release this patch, same goes for the sound files that revealed Ryu in the first place.